Duvet covers can really transform the look of a room. I personally prefer to keep the walls plain and go for a vibrant print on the bed. Lauren is at that age, at the moment, where she wants a nice bedroom. She likes going on Youtube and seeing how the Americans do it. We are in the process of updating her room as she will soon be a 'tween' and is looking for a more grown up look and we like the look of the Duvet covers above. Number 1 is our favourite duvet cover from Yorkshire Linen for a very reasonable £12.99. The thing I like about this one is the fact that there are matching curtains available too. It's so good when they do the curtains to match the duvets. Number 2 is also from Yorkshire Linen for a bargain price of £9.99. We like how this one uses colours that are not your usual pinks and turquoises. Number 3 is from Dunelm and uses the popular campervan pattern again. This one also has matching curtains available. I like how bright and vivid the colours are in this one. Number 4 is from BHS and we like it because, again, the colours used are more unusual. The bright yellow is bang on trend at the moment. Number 5 is from Dunelm, again and is more traditional with the use of a floral pattern. We are looking forward to updating the look of Lauren's room and will do another post about what we actually chose in a couple of weeks. 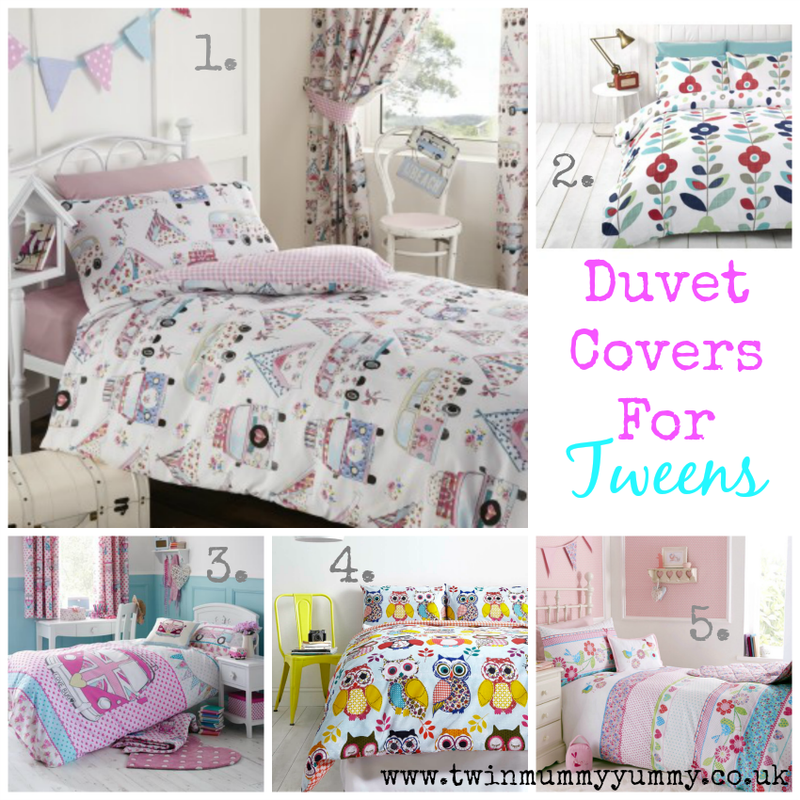 Which is your favourite Duvet Cover?